HeadStuff and Aiken Promotions are thrilled to announce the return of the Dublin Podcast Festival. Back by popular demand, Dublin will host headliner shows, live podcasts, comedy, discussions and workshops across multiple venues. Check out your favourite podcasts or discover some brand new favourites - and not a pair of headphones in sight! The festival will feature an incredible line-up of international and homegrown podcasters, covering everything from food to music to literature to football, film, comedy and lots more. The rise of the podcast as a form of both entertainment and education has been phenomenal. 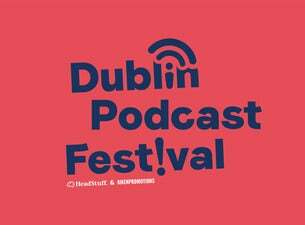 Join us at the Dublin Podcast Festival for the second year running as we celebrate the podcasting world and connect fans with the people who make them. We have lots more to announce, so keep an eye out online!